The UN's sustinable development goals show that development is not just something done to people and countries 'over there', but that we must work to address people’s needs in the UK as well as across the world writes Preet Kaur Gill MP. This statement isn’t about a developing country but the recent UN Special Rapporteur report on the situation in the UK today. It shows that development is not just something done to people and countries ‘over there’, but that we must work to address people’s needs in the UK as well as across the world. The internationally agreed Sustainable Development Goals set out bold ambitions for the world we want to live in by 2030. Adopted by all United Nations Member States in 2015, they are a call to action to eradicate poverty and inequalities, improve health and education alongside sustainable economic growth and tackling climate change. Unlike the Millennium Development Goals, these goals are universal: all countries are expected to work to meet them. But governments can’t achieve these goals alone, which is why we need to harness the power of councils, co-operatives and civil society to bring about the change needed. Like the situation found by the UN, the UK Stakeholders for Sustainable Development (UKSSD) found of the 143 targets relevant to the UK, we are performing well on less than a quarter. Alongside Ian Ward, leader of Birmingham City Council, I was proud to back Birmingham Council’s recognition of the importance of the Sustainable Development Goals. On Tuesday 6th of November, Birmingham City Council approved a council motion on the Sustainable Development Goals, that recognised that councils are on the front-line of efforts to tackle poverty and inequality and deliver strong inclusive communities. Councils also have the ability to work alongside business to promote the goal of sustained, inclusive and sustainable economic growth, full and productive employment, and decent work for all. 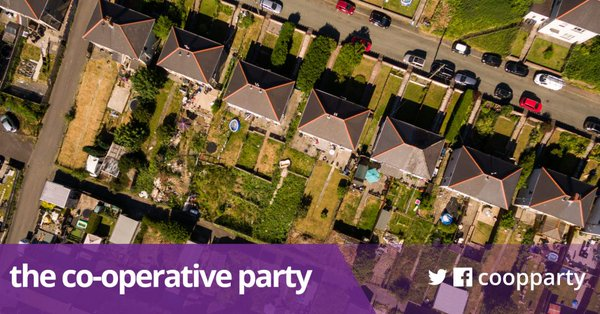 Co-operatives are the tried and tested model of empowering people and local communities to take charge of their own development, putting people and the environment before profit. It is no surprise that co-operatives have already taken this step of pledging their support for the Sustainable Development Goals, both within their organisations and internationally. Midcounties Co-operative have pledged by 2030 to improve their overall energy efficiency by 20%; The Co-operative Group have committed to continuing their partnership with the One Foundation and the Global Investment Fund for Water – supporting clean water, sanitation and hygiene projects. In the face of growing inequality in this country and abroad, coupled with a national government intent on ignoring it, it will be down to our own communities through councils and co-operatives that will bring about the change the world has committed to. What’s your commitment to the Sustainable Development Goals? Getting your council to recognise their commitment to them would be start.